Looking for deals in Perth? Featuring free WiFi and modern amenities, Aloft Perth offers modern accommodations in Perth. Excellent location. Close to major transport and walkways Room was very functional, our room had lovely view of river. 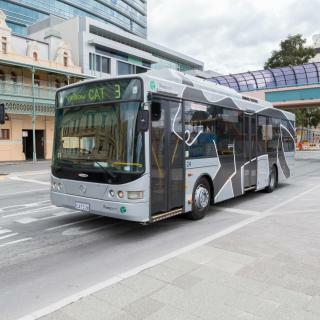 Located in the heart of Perth CBD (Central Business District), opposite a free bus city bus stop, a block from Perth Train Station and 7.5 mi from Perth Airport, Holiday Inn Perth City Center is an... Relative new, rooms and bathroom are quiet nice Breakfast Buffet excellent (coffee, slow juicer, lots of healthy choices): Congrats for the manager of this breakfast !!! This charming boutique hotel offers "a little bit of Sweden" in the heart of Perth CBD (Central Business District). Cold cuts was yum especially herrings. Conveniently located just 1.9 mi from Perth Airport, Ingot Hotel Perth features a heated outdoor pool, spa and fitness center. Secure parking. Good breakfast. Big room. Amazingly clean. Modern, smart looking. Lovely large bed/bathroom. Wide Selection of beers at the bar. Located in Perth, 1969 feet from Perth Convention and Exhibition Center, Nightcap at Belgian Beer Cafe offers accommodations with a bar. The staff is always incredibly nice, the rooms are always clean, the beds are super comfortable, free drinks at the bar are great but most of all, the showers are incredible. INCREDIBLE. Overall one of the best hotels ive stayed at, 10/10 would reccomend. Four Points by Sheraton Perth is conveniently located opposite RAC Arena at the western end of Perth's CBD (Central Business District). All the amenities,facilities inside & outside the room i.e. Located in the heart of the city, Mantra on Murray provides the perfect base to explore vibrant Perth. Everything. A great hotel. The staff were all very friendly. Especially James at the reception. This award-winning, economy style hotel is located in the leafy residential area of Hay Street - East Perth. Comfort Hotel Perth City is a 5-minute walk from both the WACA and Gloucester Park. I only stayed one night on a layover. The room was cozy and the aircon worked great. Located in the heart of Perth CBD (Central Business District), the Ibis Hotel sits just 984 ft from the Murray and Hay Street shopping malls, offers a trendy bar with live music and modern rooms with... Location is great, and the room is clean. 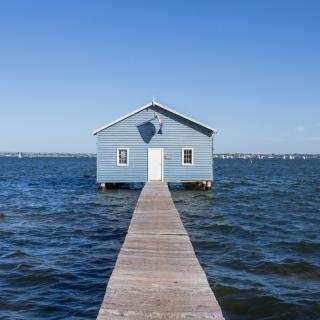 Offering free WiFi, a restaurant, a bar and a day spa, Comfort Inn & Suites Goodearth Perth is just 10 minutes' walk from the beautiful Swan River. There is a 24/7 reception desk. Value for money and convnient location with friendly staff. Clean Rooms. Trinity on Hampden is located in a central location just 3.1 mi from Perth CBD and a short walk to Kings Park and Matilda Bay. Perfect location, RA on duty knew his stuff and went above and beyond. Located on trendy Hay Street, Sage Hotel West Perth is ideally positioned to enjoy a range of dining and shopping options. Great hotel close to the CBD with very helpful staff. The Sebel East Perth offers luxurious waterfront serviced apartments located an 8-minute drive from Perth’s CBD (Central Business District). Just a great location for restaurants and the view from the room was a dream. Positioned in the heart of Perth CBD (Central Business District), The Melbourne Hotel offers 5 dining options, including a rooftop bar, Aurora. The bed was extremely comfortable, and the hair dryer in the room was very good. Located on the banks of the Swan River overlooking the Perth city skyline, Crown Metropol Perth offers modern and stylish accommodations within a 15 minutes’ drive from Perth’s International and... Everything you would expect from a first class hotel and casino. What are the best hotels in Perth near Scarborough Beach? Some of the best hotels in Perth near Scarborough Beach include Ramada by Wyndham VetroBlu Scarborough Beach, Rendezvous Hotel Perth Scarborough and Seashells Scarborough. Which hotels in Perth offer an especially good breakfast? For hotels in Perth that serve highly-rated breakfasts, try Doubletree By Hilton Perth Northbridge, Miss Maud Swedish Hotel, and The Westin Perth. Which hotels in Perth are good for families? Many families visiting Perth loved staying at Ingot Hotel Perth, an Ascend Hotel Collection member, COMO The Treasury, and Alex Hotel. Which hotels in Perth have nice views? The Westin Perth, Rendezvous Hotel Perth Scarborough, and Doubletree By Hilton Perth Northbridge got great room view-related reviews from travelers in Perth. What are the best hotels in Perth near Perth Airport? 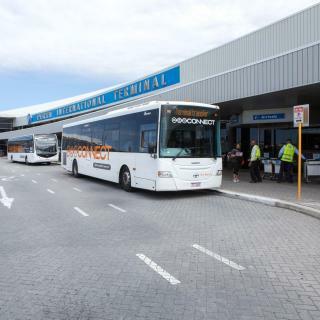 Travelers who stayed in Perth near Perth Airport (PER) have said good things about Sanno Marracoonda Perth Airport Hotel, ibis Budget Perth Airport, and Ingot Hotel Perth, an Ascend Hotel Collection member. Which hotels in Perth are good for couples? These hotels in Perth are highly rated by couples: Doubletree By Hilton Perth Northbridge, COMO The Treasury, and The Westin Perth. Which hotels are the best ones to stay at in Perth? Crown Towers Perth, Alex Hotel, and Aloft Perth are some of the popular hotels in Perth. On average, it costs $88 per night to book a 3-star hotel in Perth for tonight. You'll pay around $125 if you choose to stay in a 4-star hotel tonight, while a 5-star hotel in Perth will cost around $191, on average (based on Booking.com prices). How much does it cost to stay in a hotel in Perth? On average, 3-star hotels in Perth cost $71 per night, and 4-star hotels in Perth are $105 per night. If you're looking for something really special, a 5-star hotel in Perth can be found for $200 per night, on average (based on Booking.com prices). Which neighborhood is the best one to stay at in Perth? 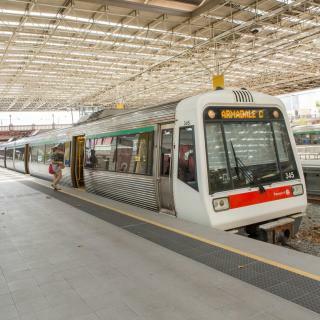 Scarborough, Subiaco, and West Perth are popular with other travelers visiting Perth. The average price per night for a 3-star hotel in Perth this weekend is $162 or, for a 4-star hotel, $227. Looking for something even fancier? 5-star hotels in Perth for this weekend cost around $412 per night, on average (based on Booking.com prices). Sun-drenched and laid-back, Perth is simply a joy to be in. However, the West Australian capital does have tourist attractions, such as the Colonial-era mint, important in the country’s gold industry. East is the WACA, a must-see for cricket fans, and the city is also mad for Aussie Rules football. The city center has the historic Government House and Supreme Court, both dwarfed by the ultra-modern skyscrapers a few streets behind. The best skyline view is from leafy King’s Park, near the War Memorial overlooking the Swan River below, named after its black swans. Across the river in Perth Zoo are more native animals including koalas, crocodiles and free-hopping kangaroos. 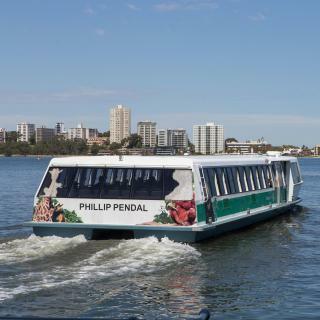 Boats to the zoo leave from the Barrack Street jetty by a sail-shaped bell tower. Other day trips from Perth include Rottnest Island and Fremantle, down the river in the opposite direction from Perth Airport. The apartments, B&Bs and hotels in Perth are spread all over this fantastic city, interspersed with restaurants serving specialties such as western rock lobster and chili mussels. There are also a wealth of bars, many playing the indie music that the city is known for. Local brews from Swan Brewery and wines from the Swan Valley vineyards round off the evening. First time the Wa Perth, and I enjoyed it Very much. 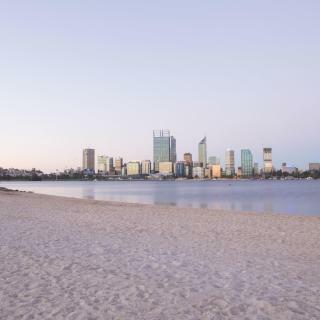 Perth is a slower paced city that has a lot to offer for travellers from beautiful scenery, parks and gardens to have a picnic or just relax, great beaches close by, lots of shopping, zoo, sporting facilities and a great casino. Theatre, live entertainment and plenty of football or cricket matches to keep you entertained. This city is so close to lots of other places to visit that day trips are easily achieved. If you have loads of time then wineries in the south west (only a 2-3 hour drive with lots of places to call in and visit on the way) are a must with medal winning wineries all within a short distance of each other or if you have less time then maybe spend a day walking around Fremantle and check out the historical sites and buildings, have lunch at the wharf etc. For tips on where to visit just ask at the front desks of your hotel or visit the visitors centres for the best information. One of my best self tour trip. I had been to many good public transport countries, Switzerland, Japan, Germany for instant. Perth is best for all. Not only free central bus but from airport and to near by towns are excellent. Within 6 days, we went to Fremantle twice, two beaches and two Swan river ferry too. Many nice green lawn parks. Kings park is splendid free for stunning high view of all Perth and relaxing sleep on his lawn under trees shadow. Amazingly museums and art gallery entrance fee are just for little donation. Perth is a gorgeous city. We stayed at the Pan Pacific well located but a little shabby in the rooms. We had dinner at the Grosvenor Pub up the block from the hotel and the portions were huge and delicious. We walked to Barracks Quay and Elizabeth Quay from the hotel. Easy. Went to the zoo by ferry from Elizabeth quay. Very nice zoo. We took the Swan River lunch cruise which was lovely. The food was delicious, and we enjoyed the entertainment by Kimberley at the end of the meal. She has a beautiful voice. All in all, we loved Perth. The place was in a very handy location only 1 block from the free bus to the CBD and also in easy walking distance of the CBD. No issues with checking in at 2.30am after a long flight. It was also only about 150 metres to the bus stop for the airport bus when I left at a more respectable hour. Very clean and well equipped, staff were very friendly and the food in the restaurant was very good. Really nice boutique style hotel in a good location, well positioned for restaurants and bars and close to Elizabeth Quay. Rooms were clean (although a little bit on the small side). Bed very comfy, good facilities all round, nice rooftop bar. Would come back here if I’m ever in Perth again. Curious Swedish-themed Hotel near the centre of Perth. Great breakfast and surprisingly decent dinner buffet. Very good value for your money overall. Luggage storage comes handy when doing an overnight trip to Rotto. The pickup bus for the Rottnest ferry stops 150m from the Hotel. Quiet spacious and clean room with comfy bed and good shower...all you need from a night’s accommodation. Also hotel was kind enough not to charge us cancellation fee due to a 24hr delay with our flight into Perth. Good to see that some hotels still care. The hotel is great, newly built, clean and staff is really friendly. It located right in bars and cafe and nightclub, yet not noise at all when in the room. 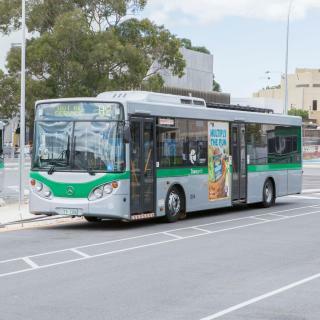 3-5 mins walking to Transperth hub and train station make it easy to go anywhere. The Peninsula Apartments are well located along the shore in South Perth, a short walk from the ferry that connects to the downtown. The apartment was clean and well maintained and the staff was exceptionally helpful and friendly. One of the best hotel staff i have ever seen. They upgraded my room from single double bedded to 2 double bedded room for free. The restaurant food are also really good. Next time we visit perth definitely staying there again. The room was great, awesome bar and restaurant, good value for money, staff very helpful, safe and comfortable. Stayed here a few times and will continue to stay at this hotel whenever I am in Perth. We were looking for a place close by the Perth Airport for an early morning flight. This hotel was excellent for our purposes - close to the airport, clean/refreshed large rooms, very luxurious. One of the only hotels providing free airport shuttle. 10 mins away from Perth Airport. Very basic apartment. There was only 1 shared bathroom in the whole house. Huge room, bed, showers, bathroom as a whole, the TV. Staff were great and fast WiFi. I think I found the hotel for me in Perth. This place is AWESOME!!!! The hotel is gorgeous, in a great location and the staff are accommodating and wonderful. I will stay here every time I visit Perth. Very clean and amazing staff that were on the ball! Best hotel in Perth! Very spacious and comfortable beds. Very attentive staff. Relaxing surroundings. Excellent restaurant. A very clean and comfortable property! We enjoyed our stay at FS!